We welcome your application for our Ph.D. program for the FALL term. Your online application must be received by the deadline posted on the main Graduate Admissions website. Your application must be complete in order to be reviewed for admission, inlcuding all supplemental materials, such as transcripts, letters of recommendation, and official test scores. PLEASE NOTE DEADLINE DATE CUTOFF TIME. ALL APPLICATIONS MUST BE SUBMITTED BY MONDAY DECEMBER 3rd, 2018, by 8:59PM *PACIFIC STANDARD TIME*. The online application site will automatically lockdown at 9:00pm, 12/3/17. NOTE: We cannot recommend students for fellowships until their applications are complete (including receipt of test scores). We do not admit students for the Spring term or for a terminal Master's degree. However, the Master of Science in ARE may be awarded to students pursuing work toward the Ph.D. in our program (or in another field at Berkeley) after fulfillment of the appropriate requirements. Please contact AREs Graduate Student Advisor Carmen Karahalios with questions regarding your application, carmenk@berkeley.edu. Due to the limited number of students we are allowed to recommend for admission, we are not able to recommend admission for all of the applicants who meet all of our qualifications. These guidelines are designed to help potential students strengthen their applications. For example, students who lack strong training in economics or mathematics may want to take additional courses before applying. 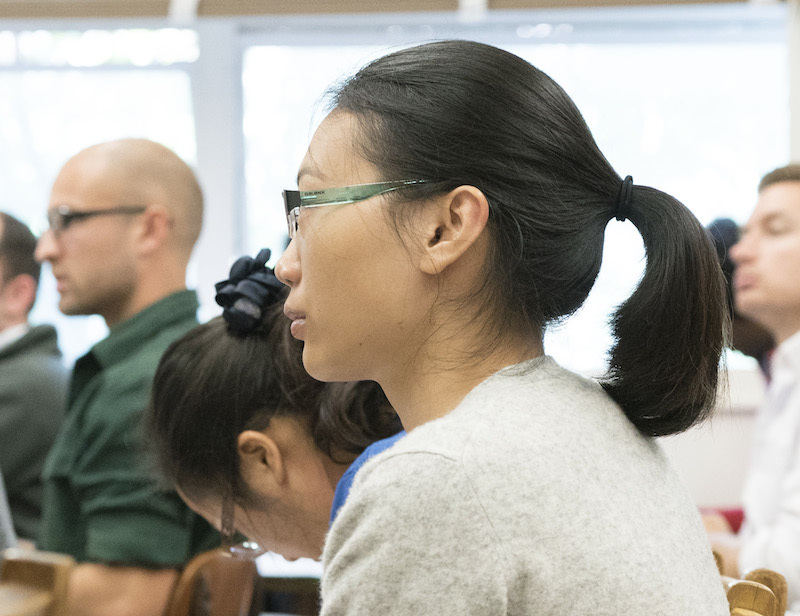 Every year, a committee of faculty members considers potential applicants for admission to the graduate program in Agricultural and Resource Economics. Since the composition of this committee changes frequently and the pool of applicants changes each year, we do not use rigid rules in determining admissions. Nonetheless, the following guidelines are used as a starting point in our deliberations. Formal records are relied upon heavily. We will not consider a student with a grade point average (GPA) below 3.0, which is the University's minimum standard for graduate admission. Typically, we consider the overall GPA, the economics GPA, and the GPA in mathematics, statistics, and other quantitative methods, with particularly heavy weight on the economics and mathematics grades. Many of our applicants have a Master's degree in agricultural economics or economics from other institutions. When grades in graduate courses are available, we put greater weight on those than on undergraduate grades. When students have attended colleges and universities with which we are not familiar, greater weight is placed on the GRE examinations. Particular weight is placed on the quantitative, but the analytical and verbal are also considered. The essay by the applicant is also given substantial weight. We are looking for students who have clear and reasonable objectives. We want to know why the applicant wants to study agricultural and resource economics at Berkeley and how this training will be used. Letters of recommendation are given considerable attention. We put particular weight on letters from people who have previously recommended students who have done well in our program. In some cases, an applicant may already have a paper accepted for publication in an economics journal. If so, this information may weigh heavily in the applicant's favor, and may offset less favorable GPA and/or GRE scores. We only admit students who have prior training in economics and quantitative methods. At the very minimum, a student should have taken intermediate level micro-economics and macro-economics courses and a year of calculus. Successful applicants have usually taken courses in linear algebra, statistics, econometrics and a significant number of undergraduate economics courses at the intermediate and upper level. Students need to have completed a course in real and functional analysis equivalent to Berkeley’s Math 104 before being allowed to take the graduate microeconomics theory sequence at Berkeley. We highly recommend taking such a course before arriving at Berkeley. If you have taken a real analysis course in another university, please upload the syllabus with your application. We may make exceptions for students who do not meet these guidelines if they have other characteristics or experiences that we believe are important, such as professional experience or graduate training in fields relevant to the core research interests of the department, yet academic preparation is an excellent predictor of success in our graduate program. We encourage applications from other countries. In previous years, international students have comprised at least one quarter of the entering class each fall. International students are required to show competency in English, with a minimum TOEFL score of 68 for the internet-based test, 230 in the computer-based test, or 570 for the paper test. In evaluating an international student's background, we are sometimes unfamiliar with the grading system used, the content of courses, etc. We recommend that foreign students provide an official explanation of the grading system and explain in some detail the content of the courses they have taken. The Graduate Record Examination is required of all applicants. All applicants from countries in which the official language is not English are required to take the TOEFL. Please see the Graduate Application forms for more complete information regarding the GRE and TOEFL, and qualification for exemption of the TOEFL test. International students are required to show competency in English, with a minimum TOEFL score of 90 for the internet-based test, 230 in the computer-based test, or 570 for the paper test. It is very important that potential applicants arrange to take the GRE and TOEFL examinations early. We recommend that you take them by October or November. Official scores from the December tests may not reach us in time for applicants to be considered for fellowship awards.